GRAND PRAIRIE—It’s a common occurrence to see the Grand Prairie Mayor cycling around the city every month. However, this month the Cyclin’ with the Mayor bike ride takes on a bit more significance. That’s because the July 25 bike ride with Mayor Jensen will focus on backing the blue. Not only the blue in Grand Prairie, but throughout the entire metroplex. 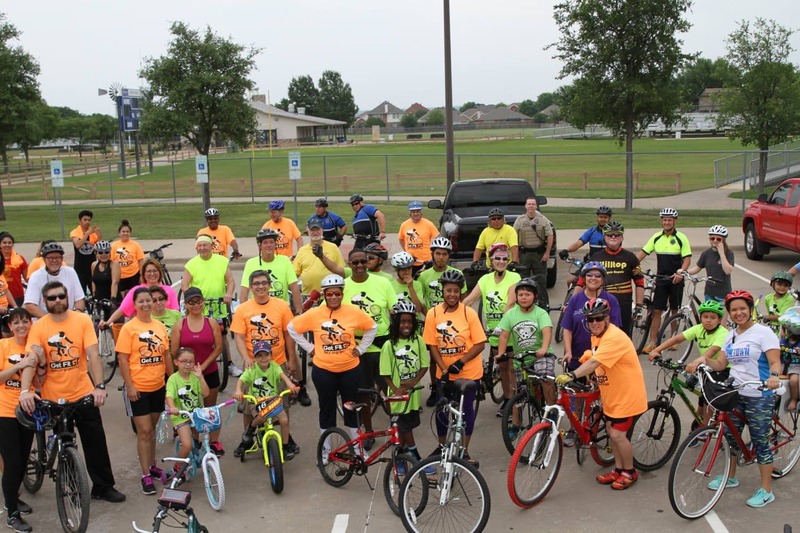 Last year’s July 13th ride took place only six days after Dallas’ ambush, City of Grand Prairie spokesperson Elizabeth Tolentino explained. With 100 participants taking part in the ride last year, Tolentino said the city hopes to exceed those numbers this year. The first 100 attendees will receive free “Back the Blue” t-shirts. This month’s bike ride will begin at Lloyd Park. The ride, which focuses on honoring Grand Prairie’s fallen heroes will also include a remembrance to Officer Lyndon King, March 1, 1982 and Sgt. Gregory Hunter, June 18, 2004. “These officers will be recognized on the t-shirts that we are distributing at the event,” Tolentino said. Following the ride, attendees are invited to meet at Grand Prairie’s Crazee Crab & Oyster Bar. First responders will receive a complimentary meal provided by Crazee Crab and the City of Grand Prairie. For folks who want to take part, but not participate in the bike ride, can meet at the restaurant after the ride is over at approximately 7:45 p.m.
“We encourage everyone to wear blue,” she added. Jensen, city staff, first responders and local bike enthusiasts will participate in this six mile ride. As part of the Community Wellness Initiative, Cyclin’ with the Mayor runs through the months of April to November.